The temple roofs glitter amid the grime. The flower garlands cloak urban ills with the scent of jasmine. But the tuk tuks no longer hurtle quite as scarily, the skies are less sooty, and all those dark alleys Bangkok leads you down seem better lit. In its own fitful fashion, the Thai capital is becoming a world city  tamer, wiser and with an emerging art and dining scene that makes it seem like more than some steamy swamp where high-society royalists and up-country migrants collide. A brace of modern improvements dominate: sparkling malls, a long-overdue modern museum, the excellent subway. Still, this remains a sensory overload. 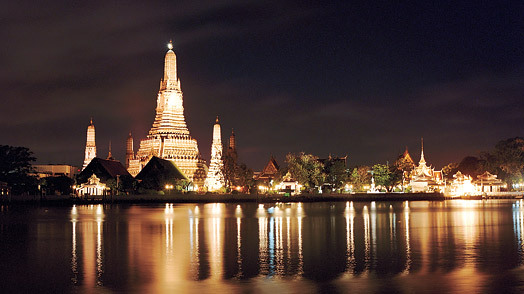 Bangkok engulfs but never enervates, forever energizing those who forgive its excesses.